Volume 16 Issue 1: Will you be like this when you are 97? Welcome back to the Seventh Heaven Blog. This is an online blog for all Mumbai Cathedralites spread around this globe. Late 56er Harminder Singh Uberoi, School Captain, lovingly called Ubi, had asked me to restart this blog just a few weeks before his passing. 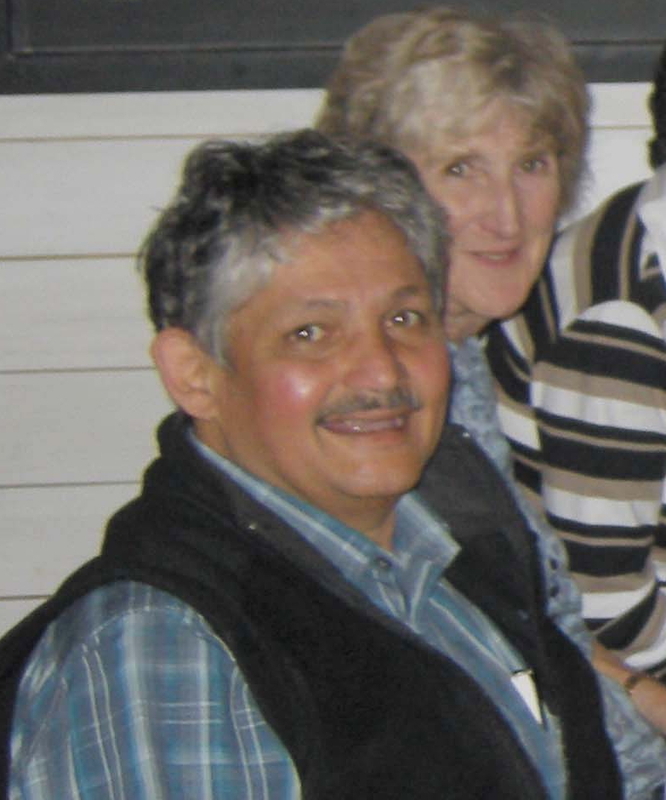 Ubi had been my friend, guide and mentor as well as fact checker for my nostalgic stories. More about Ubi in a later blog entry as he deserves an entry of his own! This blog originated for 59er Cathedralites in 1996. 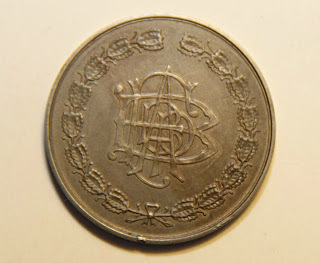 But as I have set up a separate very active Seventh Heaven Google Group for them, this blog will not concentrate on issues which are central to their intetests, but on matters Cathedralite. The important question I would like you to answer is whether you would like me to update this blog every fortnight or every month. I have no shortage of nostalgic stories for this audience. I have already over 75 topics on my list which I intend to touch upon. Stories about the alma mater, former staff, alumni, nostalgic recollections seen from my viewpoint and lots of great feedback from you out there. No politics! What subject to best touch upon in this the inaugural issue but on the oldest known Cathedralite. 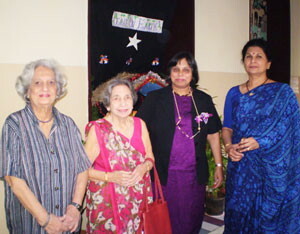 Here are a couple of pictures of the two sisters at the 2009 at a Cathedral Middle School celebration where they were the chief guests along with the other Chief Guest, Principal Meera Issacs. What made me alive to Hilla is a picture which was sent to me by 53er Pushpa (nee Doongursee) Bhatia, which appeared in the Mumbai Times of India and the Ahmedabad Mirror (also of the Times Group) which had been written by very good reporter, Reema Gehi. 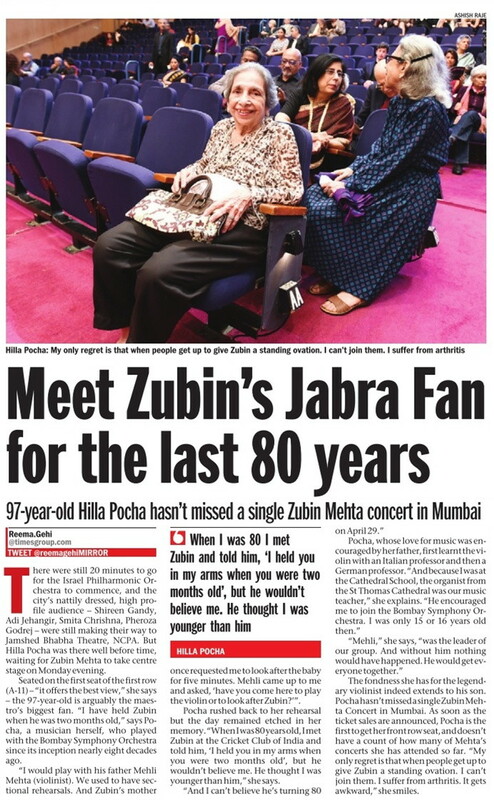 This very human story by Reema was about a smiling Hilla attending a performance of 80 year old master conductor, Zubin Mehta's performance in Mumbai when she was 97. Interesting was she baby-sat a 2 months old Zubin. Hilla is a violinist herself. She has played with Mehli and Tehmina Mehta, the parents of Zubin. I hope all of you will wish Hilla all the best and we hope we will be around to celebrate her 100 years. Next Issue: My next feature article on the Seventh Heaven Blog (http://cathedraliteheaven.blogspot.com) will be about a 104 year old Mumbai breakfast household name who supported every event of our alma mater in the 60s. Comments: Please enter a small comment on this article so that I am encouraged to bring you Cathedralite nostalgia. Please share this with your Cathedralite friends of all ages. 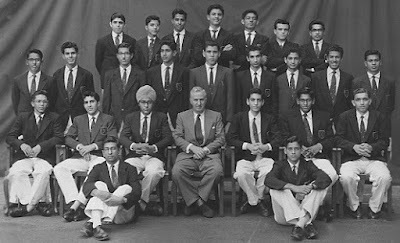 Author: I was a Prefect in 1958 and 1959 as well as School Hockey Goalkeeper for both years. I was also Savage House Captain in 1959! I am sitting second from the right next to Abe Hayeem. Competition: Identify all those in the picture and you can win a prize. The competition is not open to 59ers or anyone in the picture or their spouses. NDTV seems to have taken a firm place in our home in Finland. One of the reasons I watched was that 54er/58er Rahul Bajaj, 54er from Cathedral School and 58er from St. Stephen's College, Chairman of Bajaj Enterprises and an Independent Rajya Sabha member was among the panelists. 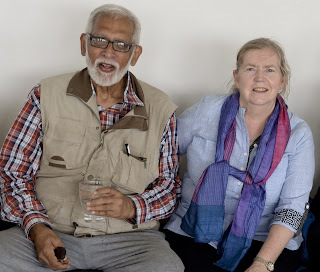 In 2009, when Annikki and I visited Delhi, Rahul stayed back one weekend evening so he could meet up with us in a party organized for us by Cathedralites led by 64er Deepak Deshpande. I was under the impression that Adi Godrej was a Cathedralite, like his nephew 65er Jamshyd Godrej, who passed through Finland last year with his wife 65er Pheroza. Although I could not meet up with Jamshyd, I had a long chat with Pheroza, also a Cathedrtalite. Adi Godrej was, however, from St. Xavier's School and College in Bombay. There was another member of the alumni on the panel that was from my alma mater. It was 73er Vikram Singh Mehta, the Chairman of Shell, about 10 years my junior, but known for his bringing the Royal Shell Oil group back to India. I have not had the pleasure or benefit of meeting Vikram. He came into prominence well after I left India in 1984. Being from the same professional area, I did watch his career rise with interest. The fourth panelist was one who I have not met but am associated with indirectly as he is the brother-in-law of one of my dearest friends, the late 59er Ashok Kapur, former Chairman of YES Bank. Rana Kapur is now in the top spot of the bank. I do not know him personally, so am unable to comment on his stature. The discussion was not very memorable in that nothing new was really thrown up. The focus was on the disinvestment of the Government of India from Public Sector companies as well as privatization. Certainly, as leaders in the Private Sector, as family run companies in the case of Adi and Rahul, and as a leader of a MNC as Royal Dutch Shell, in the case of Vikram, and as the head of an outstanding private bank set up by Ashok in his heyday, the general opinion was that the Government should stick to Governing while industrialists and professional managers should stick to running businesses professionally. It was one question from the students that really summed up the situation. Is the outsourcing boom was not far away. I am glad that a young student could recognize this as it will not be long before we see this side of the contribution to Indian growth completely dry up as localities as Vietnam, start to cut into our traditional business strongholds. This post is made in three of my blogs as it of interest to all my readers of Jacob's Blog, and more specifically the readers of my Mumbai Cathedral and John Connon School Blog, Seventh Heaven, and readers of the Stephanian Blog, Kooler Talk (Web Version). I apologize for this multi-blog posting, as many of you are readers of all the three blogs! Budget Battleground was event that took place against the backdrop of my alma mater, St. Stephen's College, beautifully lit in the background, had a selected audience of young economists from Delhi School of Economics, Shri Ram College and St. Stephen's College, three of the many premier colleges in Delhi. The anchorman was NDTV Managing Director, Dr. Prannoy Roy, who was connected with another good friend, great economist with tremendous wit, the person who turned around Doordarshan in the late eighties and early nineties and then went on to head Rupert Murdoch's Star TV and then his own channel, Broadcast Worldwide Ltd., and also a Stephanian, 61er/63er Rathikant Basu. The two in the hot seats were 63er Montek Singh Alhuwalia, who was very much present in St. Stephen's College during my three years there, and Nobel Laureate Amartya Sen (difficult to say whether he is an Indian or Bangladeshi as both countries have laid claim to him). One can never forget 63er Montek, not for his knowledge, but for the unique way he wore his turban and certain mannerisms (the nervous laugh when he knows what he is saying is not what he believes), which have not changed, even as of today. The way he argued a point was always from a point that he could not be wrong, although many times, he was and is! I give below three extract from the autobiography of Amartya Sen (Copyright © The Nobel Foundation 1998). In these extracts you will see the mention of a name - Mumbai Cathedral School 59er Sudhir Anand, my classmate who is Professor of Economics at both Oxford and Harvard, a brilliant economist and undoubtedly a brain who influenced Amartya Sen considerably more than a three time mention in his autobiography. 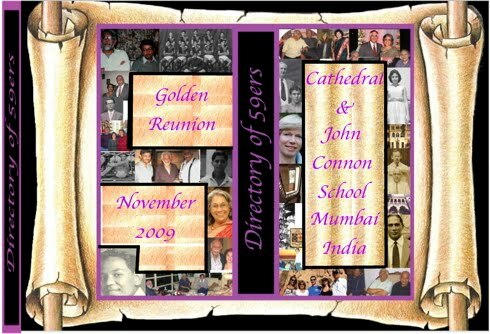 59er Sudhir was from our Mumbai Cathedral and John Connon School. Although unable to make it top our 50th year reunion in 2009, he was very much there in spirit. "I was also fortunate to have colleagues who were working on serious social choice problems, including Peter Hammond, Charles Blackorby, Kotaro Suzumura, Geoffrey Heal, Gracieda Chichilnisky, Ken Binmore, Wulf Gaertner, Eric Maskin, John Muellbauer, Kevin Roberts, Susan Hurley, at LSE or Oxford, or neighbouring British universities. (I also learned greatly from conversations with economists who were in other fields, but whose works were of great interest to me, including Sudhir Anand, Tony Atkinson, Christopher Bliss, Meghnad Desai, Terence Gorman, Frank Hahn, David Hendry, Richard Layard, James Mirrlees, John Muellbauer, Steve Nickel, among others.) I also had the opportunity of collaboration with social choice theorists elsewhere, such as Claude d'Aspremont and Louis Gevers in Belgium, Koichi Hamada and Ken-ichi Inada in Japan (joined later by Suzumura when he returned there), and many others in America, Canada, Israel, Australia, Russia, and elsewhere). There were many new formal results and informal understandings that emerged in these works, and the gloom of "impossibility results" ceased to be the only prominent theme in the field. The 1970s were probably the golden years of social choice theory across the world. Personally, I had the sense of having a ball. The constructive possibilities that the new literature on social choice produced directed us immediately to making use of available statistics for a variety of economic and social appraisals: measuring economic inequality, judging poverty, evaluating projects, analyzing unemployment, investigating the principles and implications of liberty and rights, assessing gender inequality, and so on. My work on inequality was much inspired and stimulated by that of Tony Atkinson. 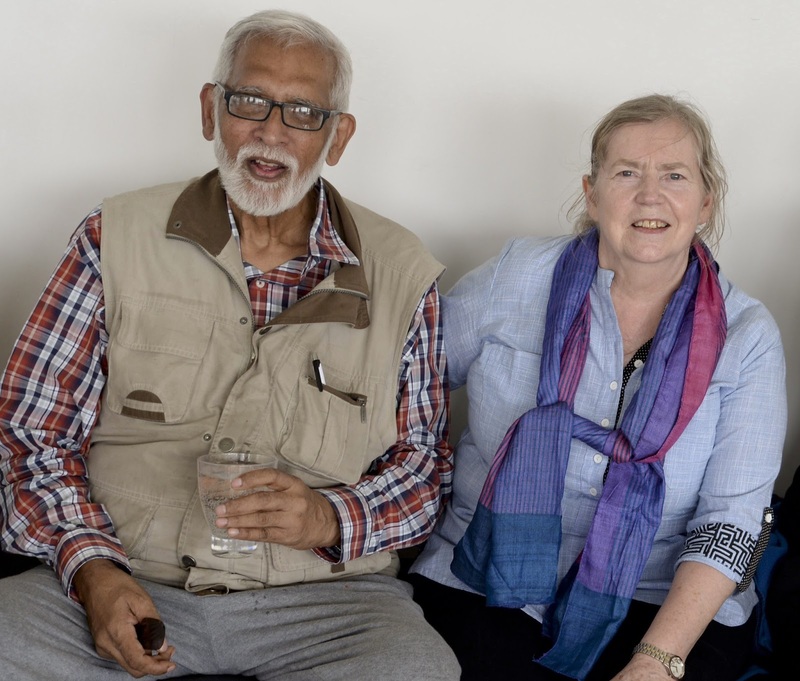 I also worked for a while with Partha Dasgupta and David Starrett on measuring inequality (after having worked with Dasgupta and Stephen Marglin on project evaluation), and later, more extensively, with Sudhir Anand and James Foster." "During my Harvard years up to about 1991, I was much involved in analyzing the overall implications of this perspective on welfare economics and political philosophy (this is reported in my book, Inequality Reexamined, published in 1992). But it was also very nice to get involved in some new problems, including the characterization of rationality, the demands of objectivity, and the relation between facts and values. I used the old technique of offering courses on them (sometimes jointly with Robert Nozick) and through that learning as much as I taught. I started taking an interest also in health equity (and in public health in particular, in close collaboration with Sudhir Anand), a challenging field of application for concepts of equity and justice. Harvard's ample strength in an immense variety of subjects gives one scope for much freedom in the choice of work and of colleagues to talk to, and the high quality of the students was a total delight as well. My work on inequality in terms of variables other than incomes was also helped by the collaboration of Angus Deaton and James Foster. Readers of Seventh Heaven will remember how I have written about Sudhir and the Nobel Prize awarded to Amartya Sen! Montek minced words as only a political chamcha can do! Roy was not hard-hitting in his position as Anchorman. He was being pleasant to his guests!! Amartya Sen was his own self and wanted to be nice to everyone. Not a receipe for a successful discussion, but for me, being in the setting of our beautiful college was good enough to sit through the 45 minute discussion! Anyway, it was good to be away from the depressing media coverage of our hallowed institution which has been plaguing us for almost half a decade! Now that Seventh Heaven is back on line regularly, establishing 16 years of service to our alumni, I am now a pensioner and keeping this afloat with my pension is quite difficult. Thanks to so many of you, I was able to install a dedicated server. I have just 3 ad places to offer on this page, two at the top and one at the bottom. If any Cathedralite would like to help support this Web Version and would be prepared to advertise to the 3000+ Cathedralite who visit this site at every update, I would be most grateful. This is not a broad general audience, but a very very limited one. Proposals can be sent to me at jmatthana (at) gmail.com. 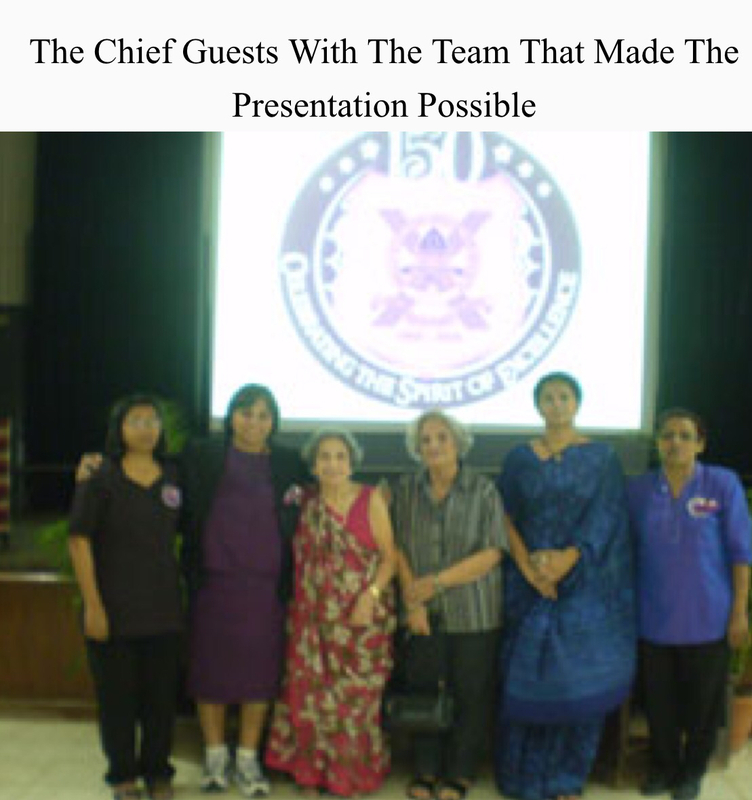 The class of 59ers was unique in that all the members of the class have been achievers. I have pleasure in posting the record of an unique Cathedralite, a 59er David Colaco. An outstanding boxer and athlete, it will be difficult to find someone with such an impressive record. 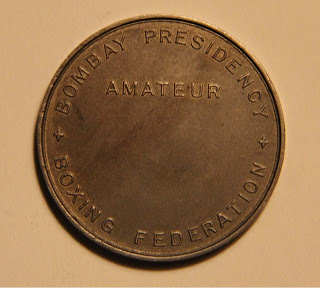 I am pleased to be able to post the picture of his Western India Boxing medal. I hope to post similar info about the other 59ers who have done extremely well in their lives! 59er Retired Captain Vijay Shivdasani has informed me a few minutes ago that he was not successful in the Mumbai Corporation elections. Low turnout, the young did not vote in numbers and the military turnout was also low. the turnout in these elections was just 30%. Annikki and I replied to him that the winning was not important but he has showed us the way that we need to get involved with politics as otherwise the old game will continue. If we intend to field candidates anywhere we have to have a long term game plan. We have to recognize who should be our representatives and start work NOW for the next election. Preparation of an achievable manifesto, the setting of our field worker team, the dispersal of our field workers in an organized manner to every corner where we can gather votes. These are the essential steps. Contribution of a few hundred rupees every month will be drops in an ocean, but it would soon become the ocean. This is a long term strategy. We are all touching 70, but if we can add our combined wisdom and experience, we can certainly beat those School final failed candidates? Well done Shivi, for playing the game the Cathedralite Way. 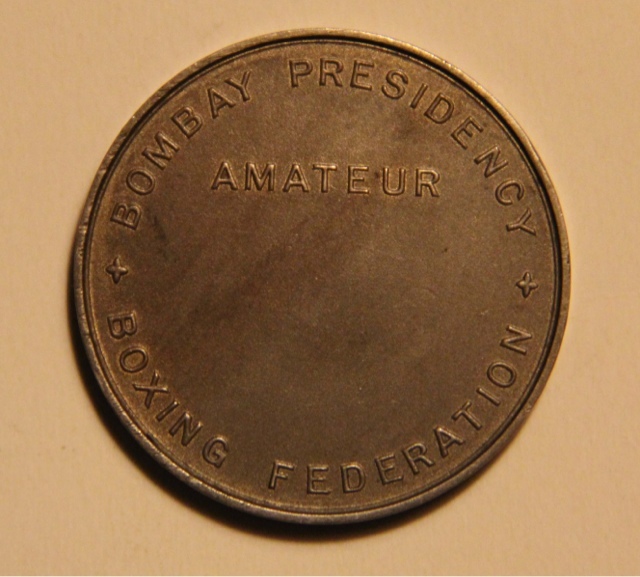 I never reached the finals of any school boxing competition, the best being the semi finals, where my six foot frame was given a hiding by a five foot dynamo called Neelam Lakhaney (also Savage House). It is very strange, but a few years ago Neelam surfaced on my internet radar but then vanished. Had I been dreaming? When planning our 50th year reunion, I searched all my mailboxes to find the correspondence that had transpired between us, but I did not trace it. On the other hand, another Neelam Lakhaney took great offence to how I had addressed our Neelam in one of my blogs and was ready to fly at me over the internet. But I digress, as I was intending to talk about the Boxing Final's evening. Those of us who had not made it, got to school early so as to get the best place on the first floor overlooking the boxing ring. The boxing ring was always professionally made up and looked resplendent. I wonder who supervised that. Mr Morecroft? The air was filled with excitement as we watched our House representatives who had made it to the finals, fight FOR US! It was as if we were in the ring with them, trading blow for blow with the opponent! The air was always charged with excitement as we watched each fight, shouting for OUR Fighters. If our guy lost, we were ready to blame the judges. The atmosphere was absolutely electric, right through the evening for a few hours well into the dark. We shouted our throats hoarse. It was the late night that we enjoyed and it is these evenings that are deeply ingrained in my school days memory!